Product prices and availability are accurate as of 2019-04-10 10:21:59 EDT and are subject to change. Any price and availability information displayed on http://www.amazon.com/ at the time of purchase will apply to the purchase of this product. 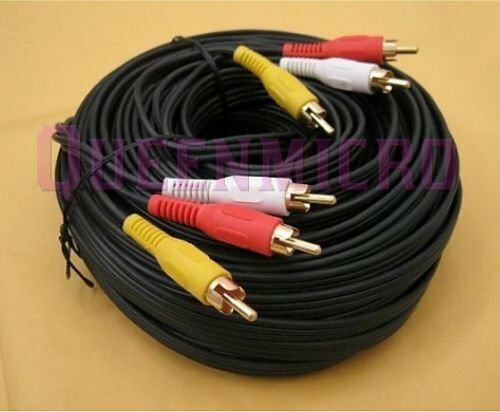 RCA Composite Audio Video cables are excellent for connecting your VCR, DVD, LCD, TV, Camcorder, and all other home theater audio/video equipment. The cables are color coded for easy installation and identification of video and left and right channels.